Our teeth perform essential functions for our bodies. They help us speak, they help us eat, and they help us with non-verbal communication as well. Without our pearly whites, where would we be? This is why it is so important that we take very good care of our teeth. Roughly 32% of individuals say that they are “concerned by the look of their teeth.” These people, and anyone who is not concerned as well, need to make sure they are regularly getting dental exams. 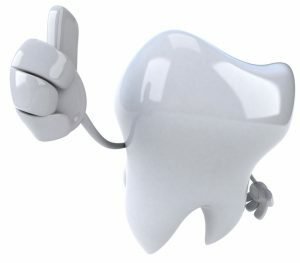 Dental services are available to ensure that our teeth are always in the best condition possible. Taking a trip to the family dentist can be nerve-wracking to some, but being prepared can make those fears vanish. Here are three ways to prepare for your trip to the dentist so that it goes smoothly. No one likes to admit when they are falling short of their hygiene goals, but it is important to tell your dentist the truth. They will be unable to adequately service you if they don’t know what you’re struggling with or where you can improve. You should also be transparent about your history during your dental exam, like if you have experience with a variety of health or periodontal issues. When you know that you have a dental appointment coming up, you should be brushing your teeth like a champ. Changing up your brushing technique may also be helpful to get your teeth as clean as possible. Brushing is not enough to keep your mouth squeaky clean, however. It is important to floss, too. Floss helps you extract things from your teeth that your brush cannot get to. This one might sound kind of weird, but chewing gum is actually helpful. Sugar-free gum can help stop plaque in its tracks by significantly slowing down its buildup on your teeth. Chewing gum is a great substitute in between meals when you cannot get your hands on a toothbrush. It also can give you nice fresh breath right before your appointment. Regular dental exams are necessary for all so that your teeth can remain in good health. To prepare for your visit to the dentist, make sure you are adequately brushing your teeth, flossing regularly, and chewing sugar-free gum between meals. Last, but not least, be honest with your dentist! Posted in Blog, Dental Care.